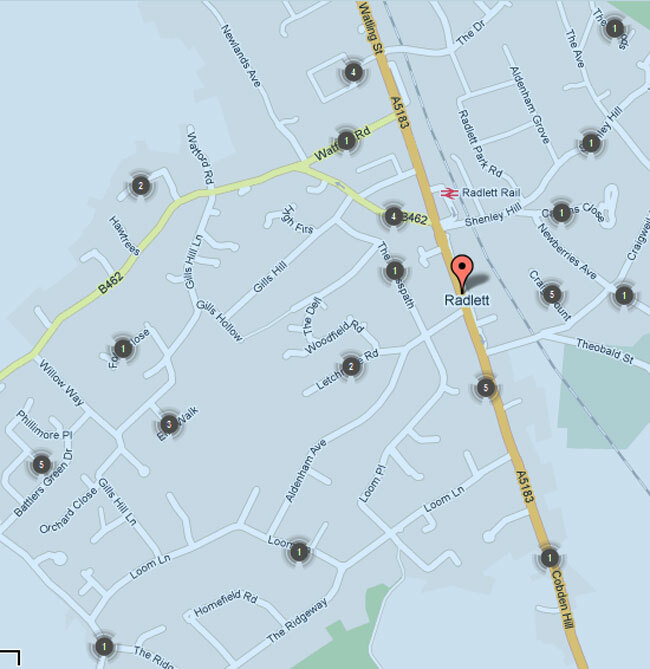 Pity the poor residents of Craig Mount – a not-particularly-long cul-de-sac in the South East corner of Radlett – victims (or at least witnesses), according to the new government crime map of the area, of 5 crimes in December alone. In that period, the data suggests, Craig Mount was the scene of one robbery, one vehicle crime, one violent crime and two ‘other’ crimes. Of course, it’s entirely possible that Craig Mount is Radlett’s crime hotspot, although it does seem unlikely (and there isn’t even a pub there). The doubts expressed in the 36 hours since the data went public suggest we might be seeing some ‘bunching’ of crimes for the sake of convenience or that some of these crimes may not have been crimes at all. Certainly it’s impossible to tell if any of them resulted in convictions – that data’s not here. We are, of course, big fans of linked data from public sources but this particular release looks like it may have been bodged. Will Perrin – localism champion – on his King’s Cross blog highlights weaknesses with the data, including mapping inaccuracies that misplace crimes (he wonders why this government project isn’t using the excellent Ordnance Survey maps, recently opened up for purposes like this). More damning perhaps is the verdict of the database hackers and developers consulted in The Guardian. These are the people who’ve been pressing for the release of public data like this in usable forms and building applications on top of it. One of them points out that historic comparisons won’t be possible with the new release because only one month’s data will be available at any one time. Adrian Short, one of the developers quoted, goes further and calls the exercise “pseudo-transparency”, and says that the site is “worse than useless”. Most of the big releases of public data we’ve seen from the data.gov.uk initiative have been received with at least qualified enthusiasm so it’s unsettling that this important block of data has been rubbished by the data jockeys. So we’ll welcome the crime map but reserve judgement on its value at least until we’ve been convinced that it’s more than a political exercise – a settling of scores with intransigent police forces and the previous regime. Type your postcode into the search field at police.uk for your own data. The results page provides some other useful information – the names of your beat coppers, for instance, and the dates of crime prevention events near you.